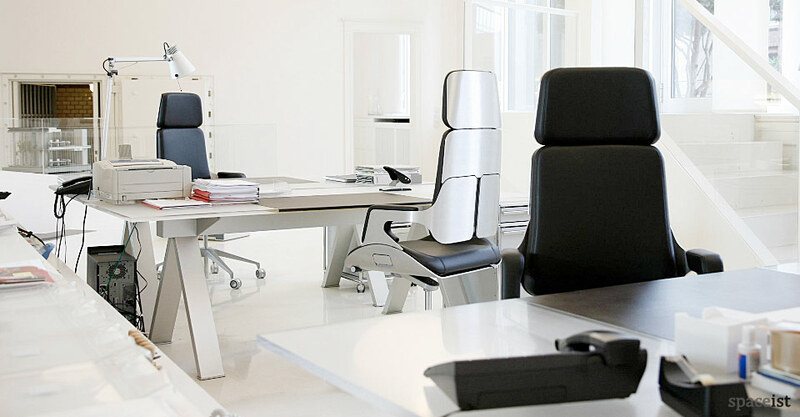 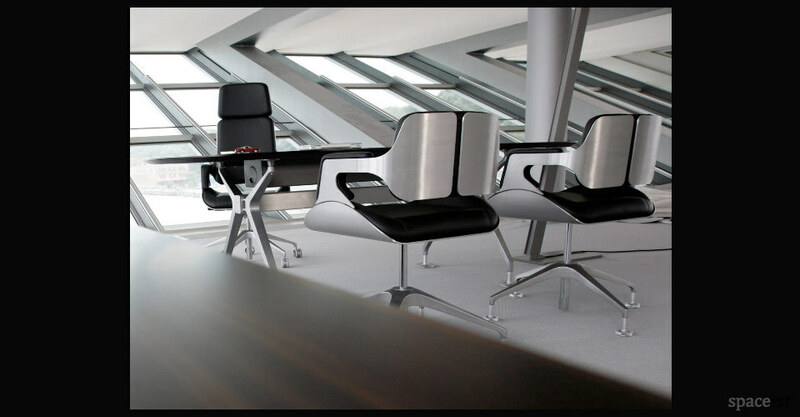 Silver executive desk chair designed by Hadi Teherani. 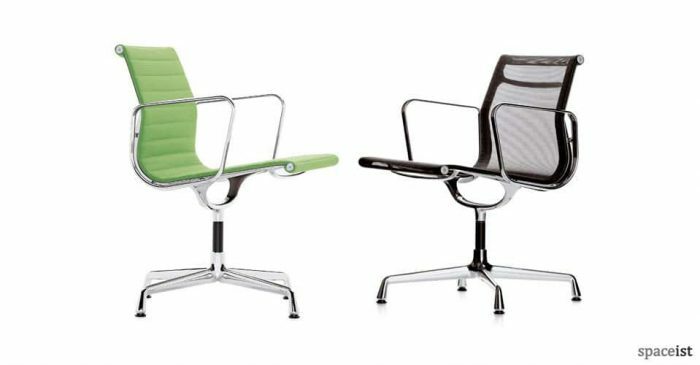 Matt aluminium, brushed aluminium or white frame – seat in leather or fabric. Silver chairs offer the ultimate in corporate high design while at the same time affording a comfortable adjustable executive desk chair. 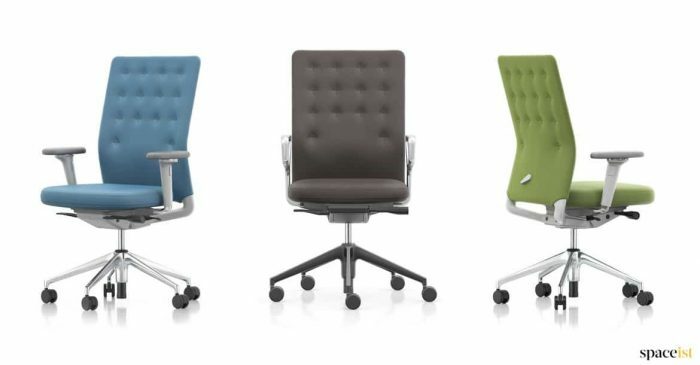 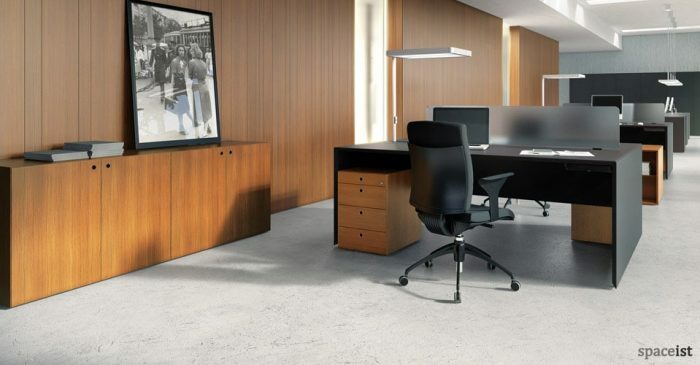 The chair is supplied with castors or with glide base as boardroom chairs or executive conference chairs. 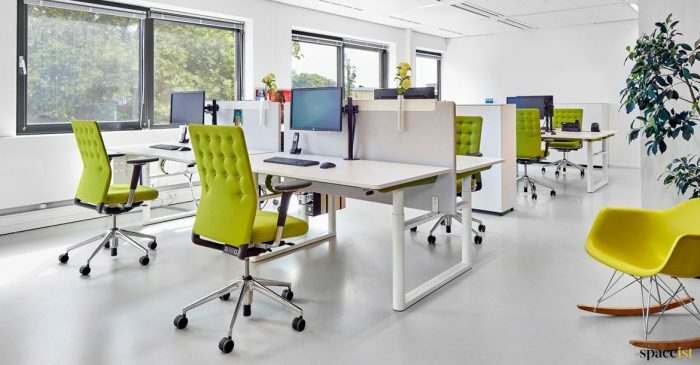 Matching meeting tables and chairs.